హ్యుందాయ్ ఆఫర్లు 9 కారు నమూనాలు భారతదేశం కోసం అమ్మకానికి తో సహ 4 Hatchbacks, 3 Sedans and 2 Sport Utilities. చౌకైన ఇది శాంత్రో ప్రారంభ ధరను కలిగి ఉంది Rs. 3.9 లక్ష మరియు అత్యంత ఖరీదైన హ్యుందాయ్ కారు టక్సన్ వద్ద ధర Rs. 18.74 లక్ష. The హ్యుందాయ్ క్రెటా (Rs 9.6 లక్ష), హ్యుందాయ్ Elite ఐ20 (Rs 5.5 లక్ష), హ్యుందాయ్ గ్రాండ్ ఐ10 (Rs 5.0 లక్ష) ఇవి అత్యంత ప్రముఖమైన కార్లు హ్యుందాయ్. రాబోయే హ్యుందాయ్ లో ఈ కార్లు ప్రవేశపెట్టబడతాయని భావిస్తున్నారు 2019/2020 సహ Venue,Santa Fe 2019, Sonata,Grand ఐ10 2019,ఎలన్ట్రా 2019,కోన ఎలక్ట్రిక్,క్రెటా 2020, Palisade,వెర్నా 2020, Ioniq. 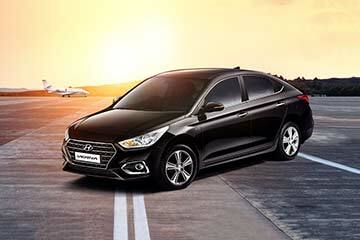 Hyundai is the second highest-selling carmaker in India with a wide range of products in various segments. 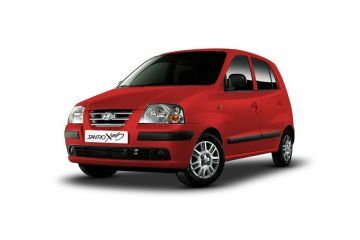 The Korean manufacturer entered the Indian automotive market in 1998 with the launch of the Santro hatchback, which was also re-introduced in October 2018. Hyundai has garnered a reputation for offering quality products with the most features, often setting new benchmarks for its competitors. For instance, the 2017 Hyundai Verna was the first car in its segment to offer ventilated front seats and now the 2018 Hyundai Santro is the first in its segment to offer rear AC vents. Hyundai ranks highest in after-sales customer satisfaction as per a 2018 JD Power India Customer Service Index (Mass Market) Study. 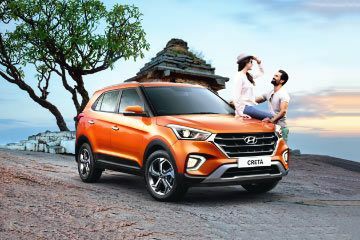 Hyundai has invested in creating a vast network of dealerships and service centres, the second-largest in India, for the convenience of both new and existing customers. The brand currently has 495 dealers and more than 1,300 service points across the country along with an R&D facility in Hyderabad. 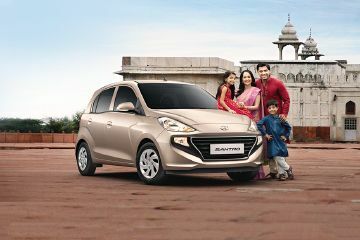 Hyundai also manufactures select products for export from India, shipping to more than 80 countries across the globe. హ్యుందాయ్ ఎలైట్ ఐ 20 అస్టా మరియు ఆస్టా (ఓ) యొక్క 2016 మరియు 2017 వాహనాలు మాత్రమే సాఫ్ట్వేర్ నవీకరణ కోసం అర్హత కలిగినవి. More Features Loaded car In this segment superb car Interior design and exterior are also Good. Ultimate design, ultimate feature, comfortable seats, and price. Very good car for personal as well as commercial use but one major problem is an abnormal voice from its filter. Filters mounting arrangements not good. Excellent Car with lots of features installed and very powerful engine is been given to car to compete in the segment. New	Hyundai Grand i10 sports proper mileage nhi aa rhi? 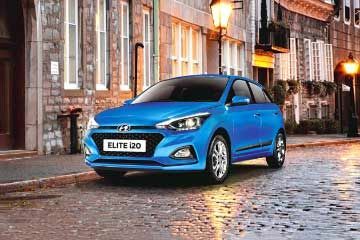 Is Hyundai Grand i10 a better car? 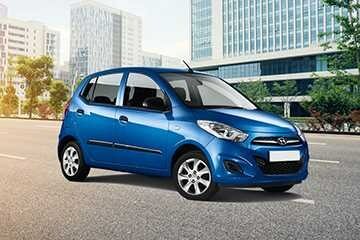 The Hyundai Grand i10 was the most attractive package in its segment when it was launched back in September 2013. The Hyundai Grand i10 was never exciting to look at, though it was certainly smart. 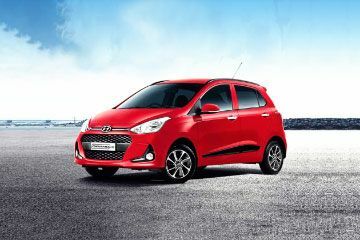 The Hyundai Grand i10 has a suspension tuned for city use; it is neither too soft nor too hard - it feels just right. The suspension always works noiselessly, letting in only the harshest of bumps inside. The Grand i10 also offers one of the most spacious boots in its class at 256-litres.The Hyundai Grand i10 Diesel has the claimed ARAI mileage of 24.0kmpl.The Hyundai Grand i10 Petrol has the claimed ARAI mileage of 18.9kmpl.The Hyundai Grand i10 automatic petrol has the claimed ARAI mileage of 18.9kmpl.